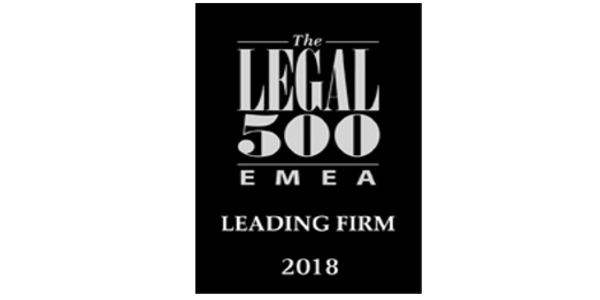 MMAN Advocates is delighted to announce that 4 of our practice groups have been ranked among Kenya's leading legal teams in the just released The Legal 500 Europe, Middle East and Africa (EMEA) 2018 Guide. Our Employment practice was ranked Tier 2 while the Banking and Finance and Capital Markets, Commercial, Corporate and M&A, and Dispute Resolution practice areas were ranked Tier 3. The Guide has further highlighted that our Commercial, Corporate and M&A practice has ‘experienced growth in workouts and corporate restructurings, while remaining active in commercial engagements such as concession contracts and long-term supply contracts, where it represents a number of manufacturers and suppliers. The EMEA Guide provides researched coverage of 81 countries and over 2,700 ranked law firms. The research is conducted annually, providing a detailed qualitative assessment of various factors including work conducted by law firms over the past 12 months and historically; experience and depth of teams; specialisms and ancillary services; and the opinions of law firms’ clients. Please check EMEA’s website, here, for more information on our ranking.